American jurist; born in New York city 1853; educated in the public schools and at Columbia College (School of Law), New York (LL.B. ); admitted to the bar 1874. In 1891 he was elected judge of the city court of New York, and served until 1895. In the following year he was elected judge of the Court of General Sessions, New York city, which office he still (1904) holds. 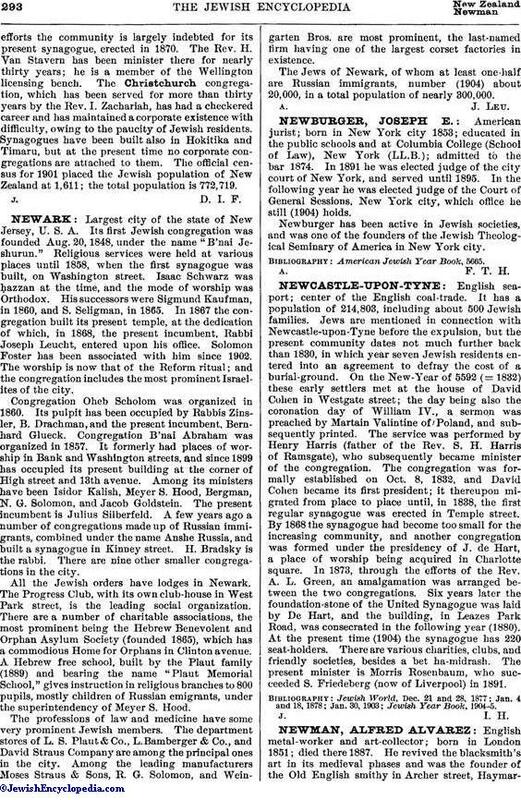 Newburger has been active in Jewish societies, and was one of the founders of the Jewish Theological Seminary of America in New York city.